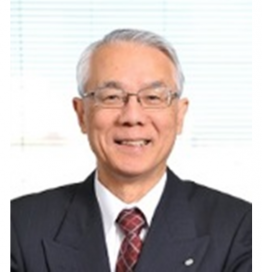 Dr. Nakamura graduated from the University of Tokyo and joined Hitachi Central Research Laboratory in 1967, where he was engaged in compound semiconductors and optoelectronics research. He was a pioneer of semiconductor DFB laser development. In 2004, he was appointed Executive Vice President and Executive Officer of Hitachi Ltd., and then assumed a position of Board of Director till September 2011. He was responsible for corporate technology development and new business incubation. He was a visiting Researcher at California Institute of Technology in 1972-73. He is entitled IEEE fellow, JSAP fellow, and IEICE fellow for his engineering achievements in optoelectronics. In 2011, he assumed the office of the President of Japan Science and Technology Agency (JST), where policy-driven R&D funding is a major mission. Also, the dissemination of scientific information, science education for young generation, and science communication are among its current activities. He endeavored to achieve high-impact innovations based on advanced R&D. After completing four- year presidency, he has been serving as the Counsellor to the President and Advisor for Science and Technology of JST since October 2015. He has been actively working on industrial science and technology strategy. He served as Working Committee Chairman of Council of Competitiveness Japan (COCN) from 2008-2011 and pursued new industrial R&D initiatives under close collaboration with government and academia. He also served for Industrial R&D Committee of the Japan Business Federation, Tsukuba Global Innovation Promotion Agency, Industrial Committee for Supercomputing Promotion, Industrial User Society for Neutron Application, and Nanotechnology Business Creation Initiative.